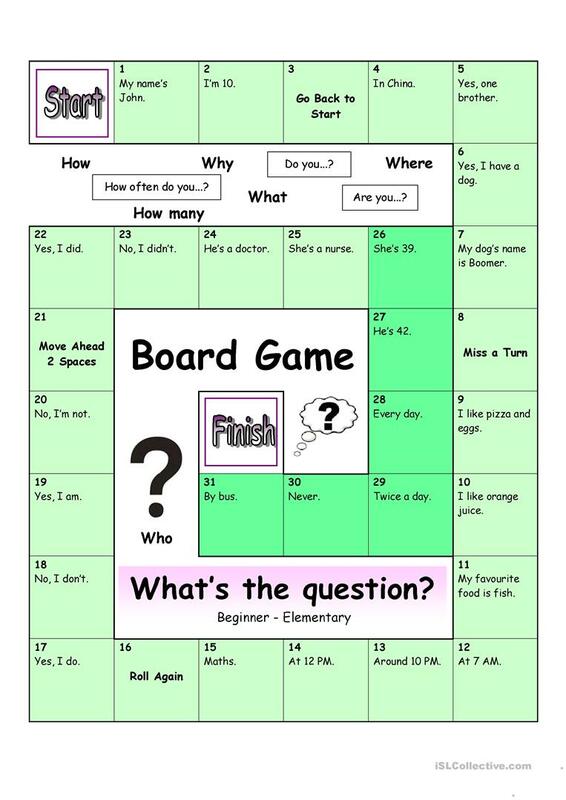 With this board game, students are given the answer and have to find out what the question is. 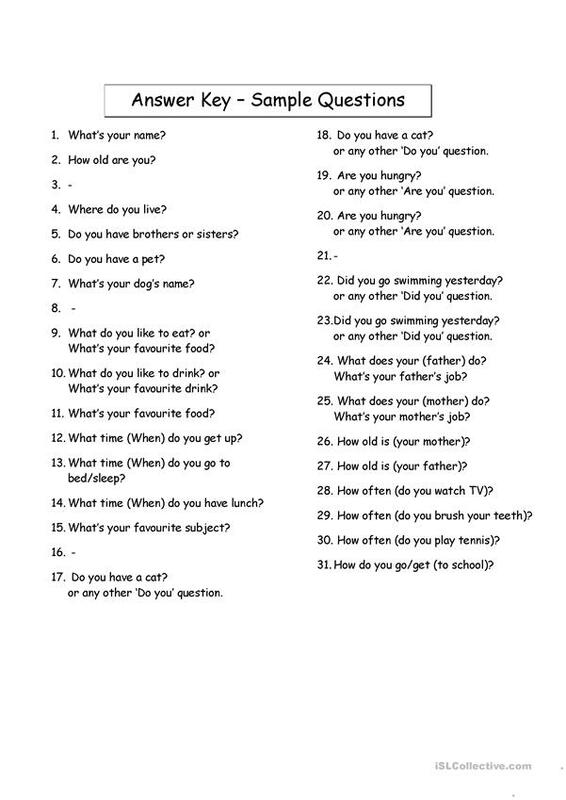 Very useful to revise making correct questions or introduce this skill. Let´s make learning English fun! The present printable, downloadable handout was created for high school students, elementary school students and adults at Beginner (pre-A1) and Elementary (A1) level. It is valuable for teaching Questions in English, and is a valuable material for working on your groups' Listening, Speaking and Reading skills. The answer key is provided, too.